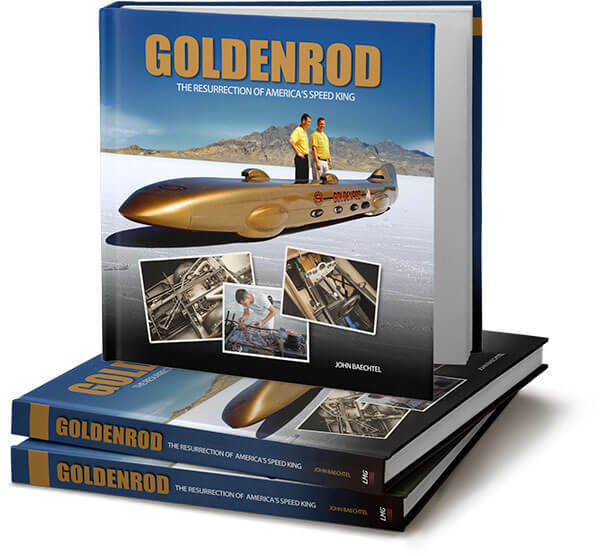 The Definitive History of GOLDENROD - America's Iconic Land Speed Record Holder - Order Now! 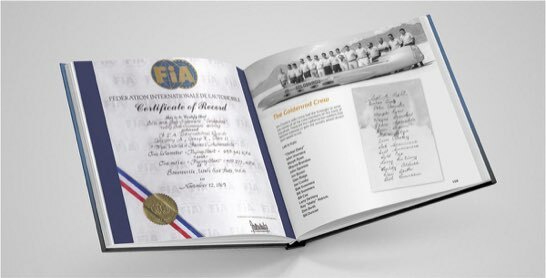 A new full color 300-page book celebrating the restoration and world record achievement of an American legend. In 2006, John Baechtel, Mike Cook and a dedicated team of volunteers restored the Summer's Brothers Goldenrod to its former glory as the centerpiece of the motorsports display at The Henry Ford Museum in Dearborn, Michigan. 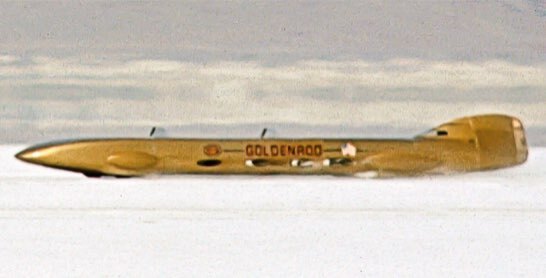 The Goldenrod set the first 400 MPH+ international speed record at the Bonneville Salt Flats and held that distinction for 45 years. 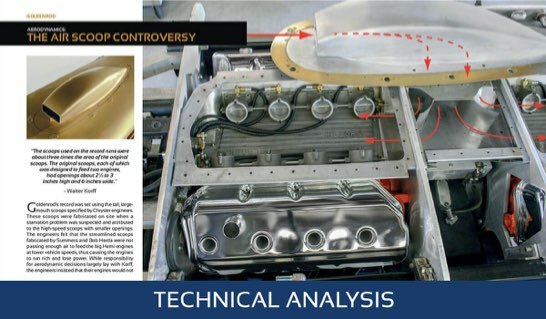 During the restoration process, hundreds of detailed photographs were taken to document every detail of the car's construction and the steps and methods used to preserve it for posterity. 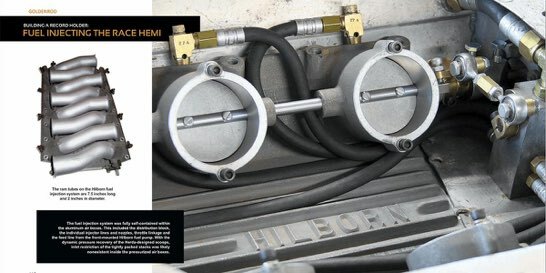 It includes full coverage of the restoration effort, rare family photos, original plans and blueprints, Walter Korff's complete aerodynamic development report, a special section on the modified Chrysler Race Hemi engines, the air scoop controversy, plus a detailed timeline of the record attempt. 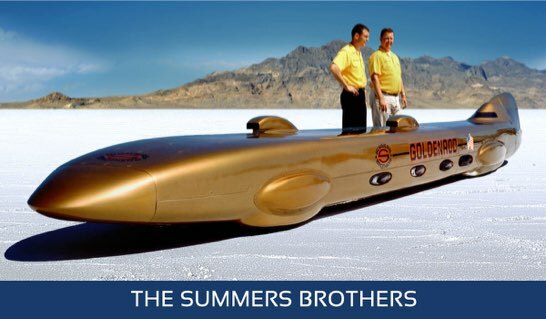 No effort has been spared to produce this hardbound collector's quality account of the Goldenrod and the Summers Brothers' stunning land speed record achievement. 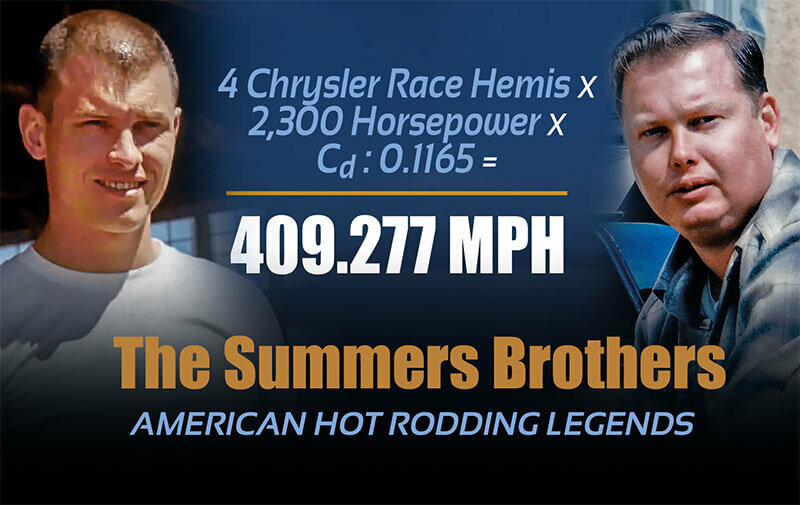 Bob and Bill Summers along with crew chief James Crosby are the American hot rodders who recaptured the land speed record in 1965 and held it for 45 years. 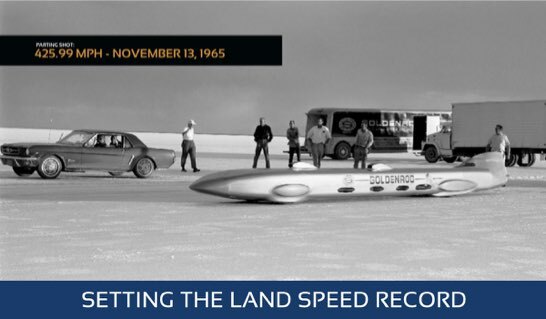 This is the full story of their epic achievement and how the car was later resurrected from ruin to assure their well deserved place in land speed racing history. 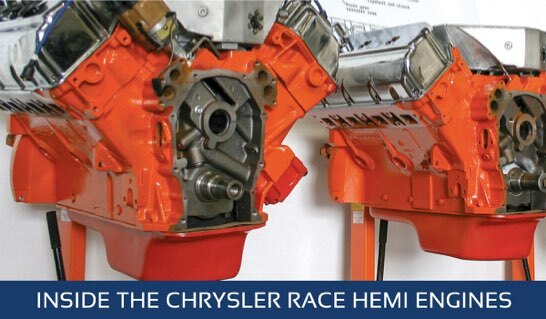 Chrysler engineers developed special components for the all new 1964 Race Hemi engines to adapt them for the Bonneville application. 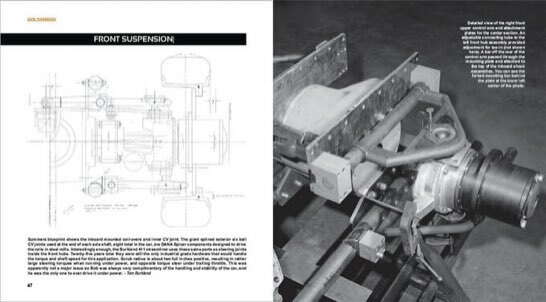 The book includes all the engine details with commentary from the original engineers who built and developed the engines. 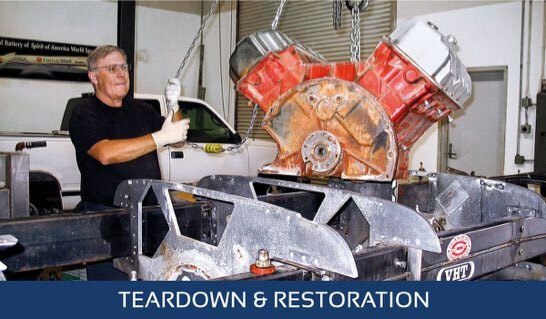 During the teardown and subsequent restoration an extensive photo record detailing all of the Goldenrod's amazing technical features was established. Every component is shown and discussed in detail. The book also includes some of Bob Summers' original blueprints. The events surrounding the multiple trips to Bonneville to attack the record are fully chronicled in the book. 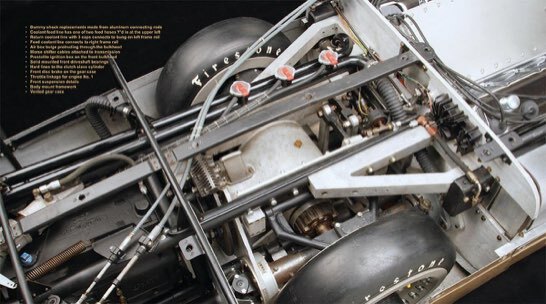 Parts failures and problems plagued the effort, but the brothers never gave up and their triumphant story is presented here in rich detail accompanied by never before seen original B&W and color photographs. 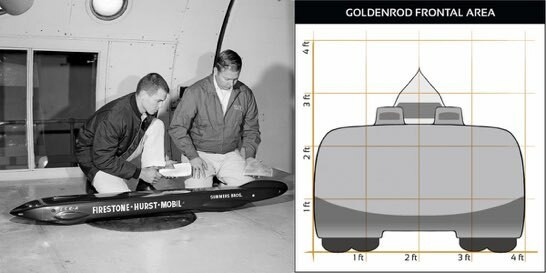 Aerodynamic designer Walter Korff kept detailed records of the Goldenrod's aerodynamic design elements. His full reports and wind tunnel analysis records are included. 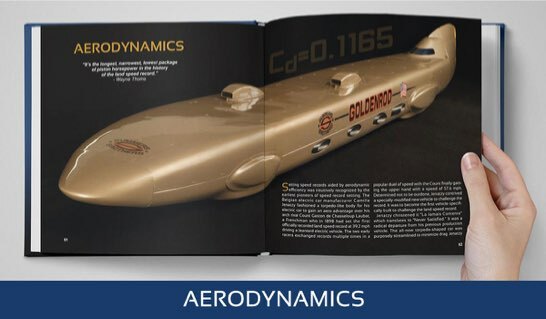 Korff's notes provide detailed insight into the aerodynamic development of the Goldenrod's sleek body. After forty years of neglect the Goldenrod was completely disassembled and rebuilt to essentially the same condition it was in after the 1965 record runs. It took nearly two years and numerous volunteers and contributors to bring the car back to original condition. The full story is told here in amazing detail.